"We Build our Homes" by Laura Knowles and Chris Madden is a fascinating glimpse of many animals and birds, but even better than that, it shows you the places those animals and birds like to call home. We're not the only ones who build houses - and in this book you'll find out where Aardvarks love to live, or Weaver Birds. Find out about the colossal towers that Termites make - towering skyscrapers many, many times larger than the tiny insects that build them. Each spread looks at a different animal, told as though from their viewpoint and using poetic, evocative language. The amazing animal architects featured include bower birds and weaver birds, gophers and beavers, termites, honey bees, and many more. 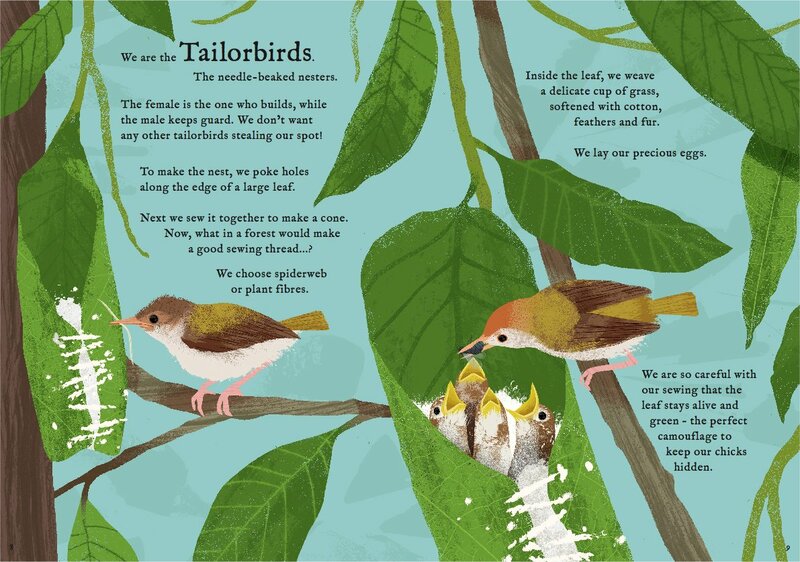 Tailor Birds have their homes all sewn up! 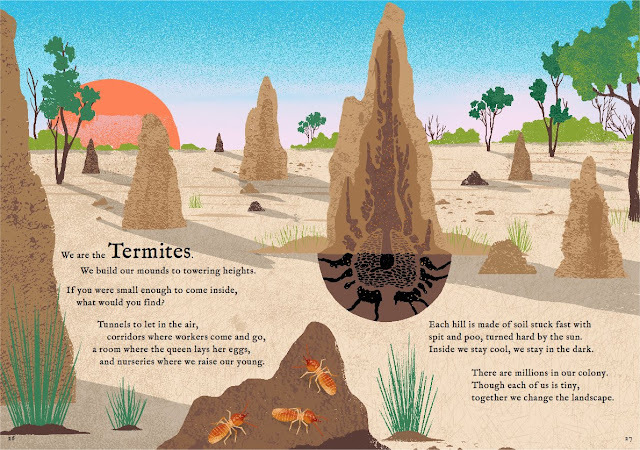 Such a great idea for a book, once again delving into a fascinating subject in a way that will encourage kids to find out more about their world and the creatures they share it with. 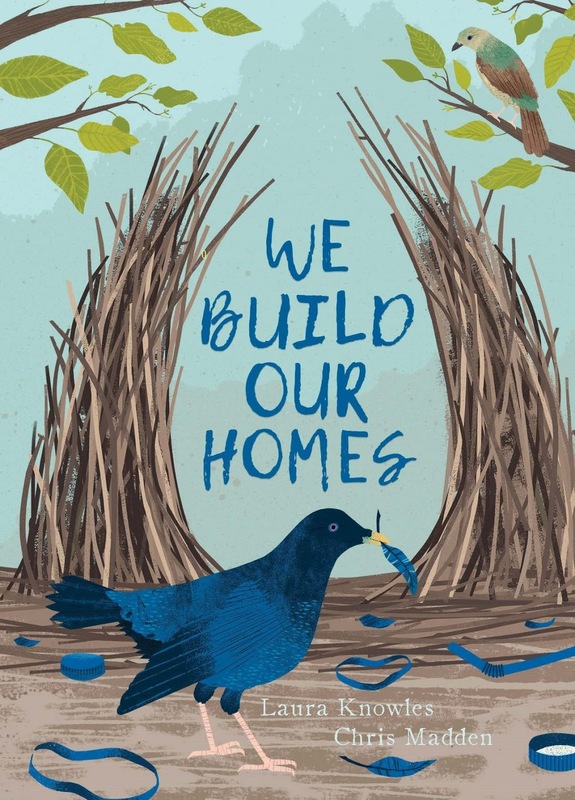 "We Build Our Homes" by Laura Knowles and Chris Madden is out now, published by Words and Pictures.